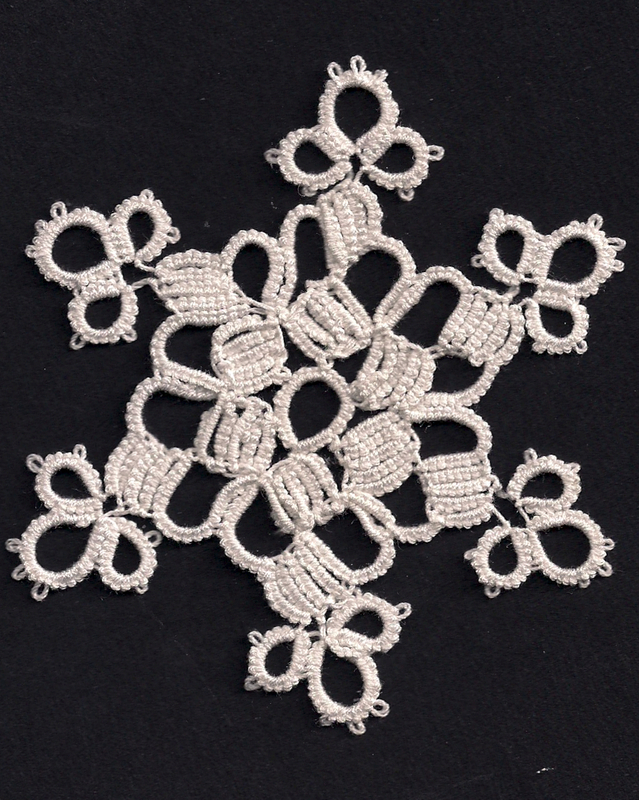 Those snowflakes are worth the effort, a bit of practice on different techniques; some of them are even fun. Enjoying watching your progress and must tell you how much I love my shuttle. Looking forward to the next batch. Wonderful wood colours! One thing about doing a challenge is that you can go onto the next one without perfecting the current one - some of my Teiko motifs were far from perfect. I have not tried that snowflake yet. The block tatting intimidates me! As I've been organizing my shuttles, I've unearthed some Pop-a-bobbins that I forgot I had. They are lovely! I hope your shipment arrives soon. I think your block tatting blocks look fine. If you could pin it out symettrically and block it I think you would happy with it. Sorry for saying "block" so many times.